I run Metal Man, a nationwide cash for gold service near Charlotte, NC. Click "more" (above) and then "profile" for important details! What do all these gold jewelry markings mean? What Does a 750, 585, or 417 Marking Mean? 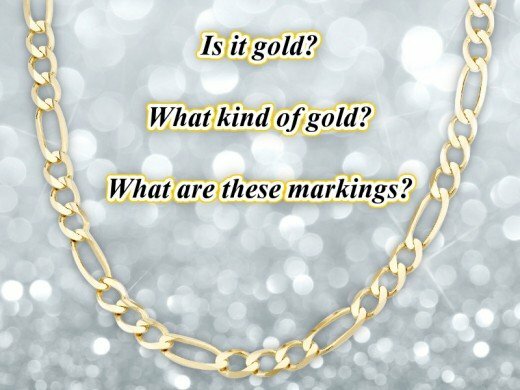 But there's more to know about gold markings on jewelry. These letters and numbers indicate an item's purity. They stand for different varieties of gold, and some varieties are worth more than others. Isn't your ring or necklace pure gold? If not, how much gold is in it? If your piece is stamped with other markings, then what do they mean? Keep reading to find out. Your Jewelry is NOT Pure Gold! Pure gold is illustrious. 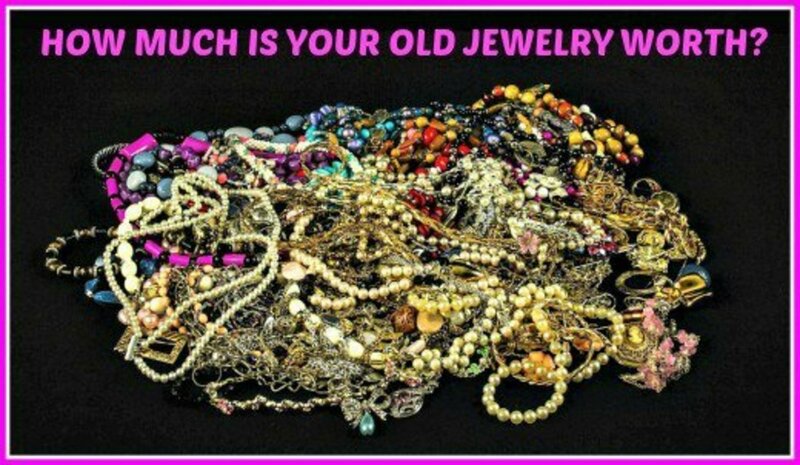 Yet, it is too soft to be used a jewelry. Not only would it be fragile and prone to damage and breakage, but links and moving parts would wear down quickly. Therefore, karat gold is mixed ("alloyed") with other base metals. Common components of gold alloy include copper, nickel, and zinc, among others. These additional metals impart greater strength and durability to fine gold jewelry. Mixing gold with other metals can change it's color too. Pure gold is yellow. Yet, gold jewelry can be white or silver, red or rose, and green or lime instead. As you can guess from the markings on gold jewelry, there is more than one gold variety. I'm referring to the purity only, not the color or style. Different varieties of gold jewelry contain a higher or lower percentage of gold, and there are a few standard varieties. The purity is expressed in karats or fineness. Pure gold is 24 karats and .999 fine. (It's never never 100% pure.) So the various fine gold markings, or stamps, tell you the purity of each jewelry item. More karats (the number before the "K") or a higher number means higher gold content. So, how exactly does all of this fit together? The term, "karat", pertains to gold, and so does "karatage" (confusingly spelled "caratage" in the UK). In the US, karats are not the same as "carats". A carat is a unit of measurement for gemstones. So most ladies would be thrilled to wear a 1-carat ring (diamond, of course). However, she would sneer if her beau proposed to her with a 1-karat ring, if there were such a thing, because it would be completely worthless. "I thought our love meant something to you," she would exclaim, tearfully. Then he would reply, with a quizzical expression, "I must have misunderstood your request, sweetheart." So, in the interest of saving relationships, it's important to clarify this distinction. Okay, back to gold markings. Look at the table below. It displays all common gold jewelry markings, along with their meanings. So for each gold variety, it lists the fineness and karatage markings; any piece of jewelry will only be stamped with one or the other. Then it shows you what percentage of gold each variety of jewelry contains. Table of corresponding gold markings, and the gold purity they signify. How Can Two Markings Mean the Same Thing? The chart shows that both "583" and "585" mean 14-karat gold. You'll see the same issue with 416/417 and 916/917 too. The USA allows gold jewelry to be under karat, slightly. In other words, it can be marked "10K" when it's only 9.5 karats. So the higher number marking in these three cases means that it's a higher quality gold, and not under karated. I'll know the value of the gold I want to sell. I bought a piece of jewelry recently and wanted to see how much it's worth so I can brag to my friends. The Mystery Marking Means "Vermeil"! Vermeil, pronounced "ver-may", is gold-plated sterling silver. The "925" is a reference to sterling silver, which is 92.5% pure silver. 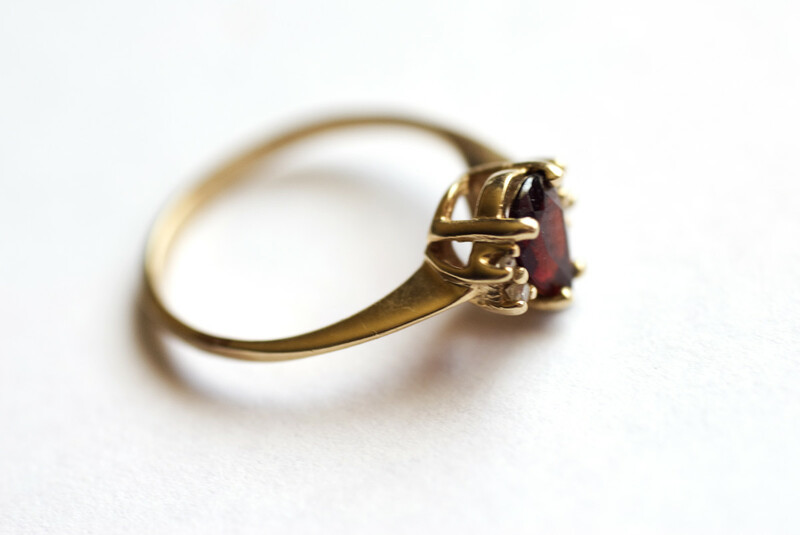 Most fine gold jewelry is clearly marked or stamped. In which case it will display one of the markings discussed here. Some jewelry is marked with something else, instead of, or in addition to, those mentioned above. Some other markings mean a jewelry item is not fine karat gold. In that case, it's either plated or filled gold, or it's costume plain old jewelry--not real gold. See my other guide to find out more about the different kinds of gold plated jewelry, including their markings. Some other markings convey details about the jewelry's origin. It may signify who made it, or where it was made, or something similar. In these cases, a logo stands for a manufacturer, and a letter may actually stand for the year of production. Google is your best chance at finding information about these kinds of unusual jewelry markings. What does "au 750" mean when stamped on jewelry? I have a Cartier love bracelet I got used. It has a slightly tarnished look to it but has a 750 stamp. Is it silver plated? Do I have to worry about it turning my wrist green? A 750 mark on jewelry means 18K gold. So it wouldn't be silver plated and could be white gold, but it shouldn't be tarnished either. What does it mean if jewelry is stamped AU750? I have a gold chain. The only marking on it is "JH." What does that mean? I have a chain stamped with a DGL. What does that mean? Does a 975 stamp mean gold or silver? What does "14k mk" mean, stamped on a ring? What does "700" stamped on the inside of a ring mean? Then, spaced farther down the side of the ring, there is an "S" stamp. I have never seen a "700" marking on gold or silver. The ring could be a type of steel. There is an "AR" after "14K" on my gold jewelry. What does "AR" mean? "AR" may be somebody's initials or something specific to the maker. The "14K" marking obviously means that the piece is 14 karat gold jewelry. My bracelet has "RJ 585 14k" on it. What could that mean, is it good? The "585" and "14K" portions of the marking both indicate that your gold bracelet is 14 karat gold. The "RJ" potion could mean anything. What does H2 mean when it's stamped on gold-tone jewelry? If that's the only stamp, then it tells you the jewelry is not gold. What does 450K stamped on a silver pendant mean? I have never seen that marking, but a "950" stamp means the jewelry is platinum. What does a stamp with P6 on gold mean? This is not a gold jewelry marking. I have a ring that marked 629 and has diamonds. Is it gold? The ring is probably not gold. If it were gold, it should be stamped with one of the abbreviations above. What does a 750 RJ marking mean on jewelry? The 750 means the jewelry is 18K, or 18 karat gold. My bracelet is marked "Italy 750". Is it pure gold? No, it's not pure gold; 24K or 999 means pure gold. However, 750 means 18K gold, which is 75% gold and is worth more than both 10K and 14K gold. I have a tennis bracelet marked 750. What does this mean? 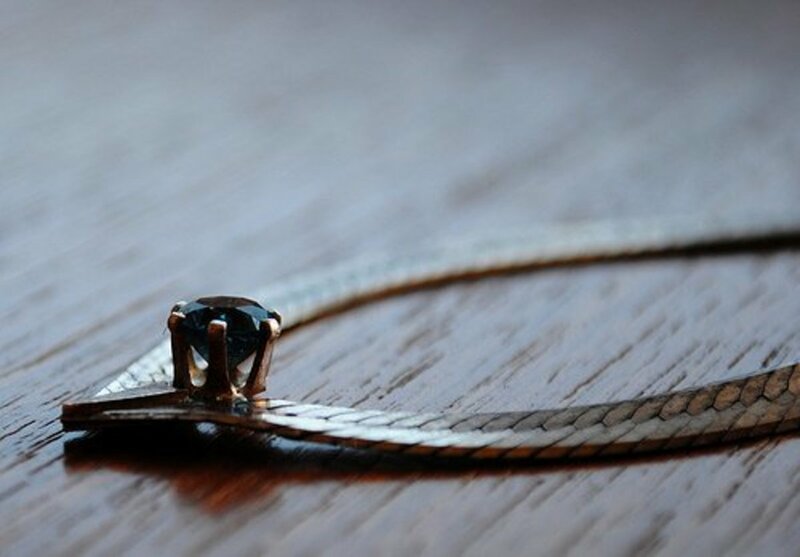 The 750 marking means your tennis bracelet is 18K, or 18 karat gold. How much can I pawn 18kgp jewelry for in the Phillipines (per gram)? You can't pawn it for anything, since a KGP marking on gold jewelry means that it is gold plated. What does a "JN" and "JH" marking mean on a gold chain or ring? These marking have nothing to do with the gold content of your jewelry. If a gold necklace just has "Korea" stamped on it, is it real gold? A lot of gold jewelry from Korea is 22K or 22 karat (also shown as 917). I have not seen any other kind of jewelry from Korea, so you might want to have somebody check it. How can I know if the diamonds on my necklace are real or not? It's just marked "750" on one side and "585 AR" on the other. There's no way for anybody to determine if diamonds are real without seeing them. My ring has: "WR15", ".625", a sideways anchor, and "T" with a crest. What do these marks mean? Oh, these are interesting markings. I can tell you that a "625" marking on gold jewelry means the item is 15K, or 15 karat gold, which was discontinued after 1935. What does a "tw" marking on a 10K gold ring mean? If the jewelry is 10 karat gold, this marking has nothing to do with it's purity. I have a ring with 7.5 SD 14K. What does that mean? The 7.5 that you see on the ring is probably the ring size. "14K" indicates that it is 14 karat (585) gold. Though you didn't mention it, your bracelet probably has silver parts (925) and gold parts (10K) which would make it a yellow and white bracelet. This is done to give contrast, and keeps the bracelet in a low price range (since it is silver and low purity 10K gold). White gold is never used with silver on a piece of jewelry, because they provide no contrast, they are essentially the same color. Some gold jewelry is composed of yellow and rose gold parts, which is the same idea. I have a clasp on a necklace (pearl) marked 14"/20 and followed by an unusual script L (I think). I know 14/20 is gold-filled. What about the "L" mark? Are you saying 14"/20 means gold-filled? Gold-filled jewelry is usually marked with 1/20 and then perhaps a 14K or 18K to show what purity of gold it is covered with. The "L" marking could mean anything. What is the value of a bracelet with the following markings: "25241 750"? The 750 portion of that marking may mean 18K, or 18 karat gold. The value depends on the current market price of gold. My necklace says "Ag ltaly 925." What is it? "Ag" is the symbol for silver on on the periodic table of elements. "925" indicates sterling silver. So the necklace is sterling silver and was made in Italy. What is the meaning of "Au 730 13"? "Au" is the symbol for gold on the periodic table and is used in the marking "Au750". The "750" specifies that a piece of jewelry is 18 karat gold. As for 730, maybe it's actually 750 that you see. My mother received a gold bracelet sixty years ago from her husband to be (my father). They lived in Italy at the time and the bracelet has a marking of 750, 17VI and the word "depositato" on it. What do these markings mean? The gold marking that matters is the 750, since it means the jewelry is 18 karat gold, or 75% pure gold. I have a chain that just has the number "75" stamped on it. Does this mean it's not gold? Well, if it said "750", you could hope it was 18K or 18 karat gold. Without the "0," it does not indicate gold. My chain says 14K with GS. What does GS mean? GS may be somebody's initials or something specific to the maker. The "14K" marking obviously means that the piece is 14 karat gold jewelry. What does an "IPs 14k" marking on jewelry mean? "14K" is a jewelry marking that means an item is 14 karat gold. What does "14ktfy" stand for on the inside of a gold nugget ring? Usually, a "14k" marking, or perhaps a "14kt", means 14 karat gold. I have a bracelet with 895 and 925. Does 895 mean 21.5 carat gold? It's possible, but if so, it's an uncommon purity. What does the stamp 417 DOV mean on jewelry? An piece of jewelry stamped "417" is probably 10K, or 10 karat gold. What does GLR stand for on 10k gold? GLR is not a gold marking, so it doesn't have anything to do with the purity. What does the stamp “ZRW14K” mean on jewelry? The "14K" portion probably indicates that your piece of jewelry is 14 karat gold. The rest of the marking has nothing to do with that fact. What does 14k mk mean on a ring? On a ring, 14K means 14 karat gold, which contains 58.5% pure gold. What is the best gold carat for strength? Gold is a weak metal and bends easily. So the strongest gold jewelry would be the lowest purity, like 8KT gold. But it doesn't look much like gold. 14K gold is the most common as it balances purity (enough to show a nice yellow glow) with durability. 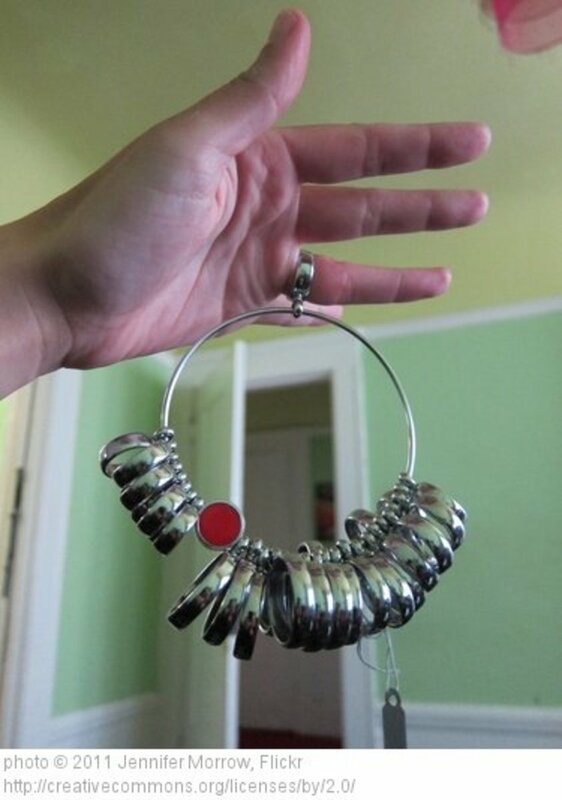 I found a pair of earrings at a yard sale for $5. They are marked "14k Italy" and "595". I'm 99% sure they're real, but they also have a ❄ symbol on them as well. Can you please tell me what this snowflake symbol means? The important thing is that jewelry stamped with "14K Italy" is 14 karat gold, made in Italy. The snowflake symbol has nothing to do with that. I have a bangle with "1ME J.A" stamped in it. What does this mean? More than likely, the J.A. is initials, since it contains periods. My 18k gold ring has "18kg" on it. What does that mean? Your jewelry is probably 18K, or 18 karat gold. If it were stamped 18KGP, that would mean gold plated. What does a stamp that says "T3" mean on jewelry? A T3 jewelry marking means that it is stainless steel. I have a gold necklace that only has a "ghp" symbol on the clasp. I know it means "good high polish", but I don’t know if it’s 10k, 14k, 18k, or 24k gold. Any idea? Good high polish? That's a new one for me. I've never seen that marking. In the majority of cases, any gold-colored jewelry that does not have the at least one purity marking or stamp (as shown above) is not gold. I have YL Stamped on the inside of my 10-karat gold ring. What does it mean? That marking has nothing to do with whether your jewelry is or is not gold. I own a brooch inherited from my grandmother. It has two markings: one is marked C followed by star sign and numbers 875 or 873. Other marking on the same brooch is 3PC2. Can you tell me what those markings mean? If it actually says "575" instead of "875", then that means it's 14K gold. What does MDJ mean stamped on back of earrings. It says "MDJ 14k 2ct" on diamond French lock earrings? The MDJ could mean anything and is probably the maker. The 14K means the earrings are 14 karat gold. The 2ct means the earrings contain 2 carats of diamonds. What does "tps 14k" stand for ? The 14K marking on your gold means 14 karat gold. What does 925 Italy marking on a necklace mean? It means the item is sterling silver (925) and made in Italy. if the item is gold-colored, then it is vermeil, which is sterling silver jewelry plated with gold. I read somewhere that the 585 marking on gold means it’s forged and not real gold at all. What’s your opinion on this? I saw a diamond ring at a pawn shop I wanted to buy and when I saw the 585 marking and looked it up I was skeptical even though the pawn shop is reputable and stand by it being the real deal. Not sure where you read that. 585 simply means 14K gold. It is 585 gold parts per 1000 parts of the alloy. This gold jewelry marking does not indicate how the ring was crafted. What is a "03" or "08" marking on a gold bracelet? That is not a gold jewelry marking. What does "cit" on a gold bracelet mean? That is not a gold marking. I have gold pendant have stamp GGI UAE? The inside of the pendant also shows 916. What is the meaning? I assume that UAE stands for United Arab Emirates, but the 916 gold jewelry marking means 22K. This higher purity gold is more common in the Middle East, and Southeast Asia. What is the meaning of NJ21C if it's stamped on jewelry? This marking does not indicate whether your jewelry is gold or not, or what kind. My Pendant says RGE 14K. What does that mean? It's hard to know for sure. When you see "RGP" on gold jewelry, by itself, that means it is rolled gold (which is like plated gold). On the other hand, a "GE" marking on gold means gold electroplate. So your jewelry may be 14 karat gold, and the rest means nothing important to you (this is what I expect). But it could be covered in 14K gold, and that marking indicates the method. A pair of gold earrings are stamped 839. What does that mean? This is not a gold marking, so it doesn't tell us anything about the composition of the earrings. The item is dated, inscribed & only stamped "s". What does that mean? "S" is not a gold jewelry marking. The chain is silver colored and marked with "750 Italy". What does it mean? If it says "750" and looks like silver, then it's 18K, or 18 karat gold. And it was made in Italy. What does the marking 14K GLK mean? The 14K portion of the marking means your jewelry is 14K, or 14 karat gold. The GLK could mean anything. I see "14V" on my jewelry. What does the "V" stand for? "V" is not a gold jewelry marking. I have a beautiful gold bracelet with markings that I believe say G 6935. It may not say that exactly but that’s what it appears to say to me. Any idea what this mark is? It probably isn't gold jewelry if there is no gold marking. But if you like it and want to wear it, don't let that fact stop you. What does a crown 700 or 750 on a pendant mean? The 750 marking means 18K, or 18 karat gold. Most likely, the crown means that this jewelry is from Britain and was made between the years of 1798 and 1975. My grandmother had a ring with a purple stone and lots of diamond-like stones. The marking on the band is "8KMGE". Is this real? Was your grandmother from the UK somewhere? The "8K" portion of the marking may mean the piece of jewelry is 8K gold, which is more common in the UK. The minimum gold purity that is allowed to be called "gold" in the United States is 10K gold, of any color. What does 14k with a letter "M" under it mean on a 45-gram gold necklace? The weight of the jewelry is not relevant to the meaning of the marking. 14K means 14 karat gold. The "M" could mean anything. I have a piece of gold jewelry stamped "au750". What might the value be? The value of your gold jewelry depends on the current market price for gold, but the AU750 stamp means the item is 18K, or 18 karat gold. What does a 1570 stamp on a gold and diamond brooch mean? It could mean anything. If this is the only marking, then the item is not gold. What does a "k 612" marking on jewelry mean? That mark has nothing to do with whether the item is or is not gold. What does 925R mean on a bracelet? The 925 stamp means the bracelet is sterling silver. The "R" could mean anything. What's the price of sterling silver? The prices of gold and silver vary day by day and throughout the day. Ask Google for current quotes. Can I sell 18k gold to a pawn shop? Jewelry composed of 18 karat gold is more valuable than 14K or 10K pieces. What is the rate of 18K gold? 18 karat gold jewelry is 75% pure gold by volume. What does 914 mean on jewelry? Some gold jewelry in the United States is marked "917", which means 22K, or 22 karat gold. As for 914, I've never seen that. What does a 514c stamp on a small circle pin mean? That stamp does not indicate whether the pin is gold or not. If that's the only mark you see, it's probably not gold. What does the marking, PA, on a gold chain denote? "PA" is not a gold jewelry marking. My Figaro necklace just has the word “Italy” stamp on both the lobster claw and clasp. It passed the magnet test. Is it real? No other stamp on it. The piece may be gold. I have purchased gold jewelry that was only marked with an Italy stamp. However, there's no way to know for sure, from here, if your piece is gold. What karat is a ring marked "901"? This marking does not tell us anything about the purity. What does "Sd2239" stamped on a gold bracelet mean? If that's the only marking, it means the jewelry is not gold. What does a "1914" stamped on a gold ring mean? This stamp is not a gold jewelry marking, in that it doesn't indicate whether or not the ring is gold. It may be the year that it was given, and the buyer had it inscribed for posterity. Would you please tell me the meaning of the mark on my ring: "18KTHGEESPO"? It is in a Whitehall Co box. The 18K portion of the marking indicates the jewelry is 18 karat gold. What does CETAS 665 mean? Those markings are on a yellow (hopefully) gold hoop earrings. That marking does not mean gold. So if your earrings don't have an actual gold jewelry marking from the list above, they aren't gold. What does the mark, "O K.K.M." on my gold chain signify? Most likely, these are initials, since they contain periods. What is the marking "MJI" on jewelry? This marking does not tell us anything about the authenticity or gold content of your jewelry. My gold rope chain has 14k on one side and a heart with initials "O.R." stamped on the other side. Is it real? The intials have nothing to do with the purity. The 14K gold stamp means the necklace is real 14 karat gold. What does the imprint 425 mean on gold earrings? It's possible that it actually says "925", which would mean the earrings are vermeil (gold plated sterling silver). What does 249VI FM mean on18k good chain? This marking doesn't have anything to do with the gold purity. A bracelet from Turkey has a "950" marking. What does this mean? When is 583 ever used? I can't remember if I've ever seen a 583 marking on gold jewelry. usually it is marked with either 14K or 585. What does "10 pcc" mean on a ring? What is H23C yellow gold? If it's yellow, and the only marking is "H23C", then it's not gold jewelry. What if my jewelry is stamped "China"? That means your jewelry was made in China and is not gold. I have a necklace and earrings with Mark Kunal UAE stamped on them. What does this mean? Are they real gold? These stamps do not indicate whether or not the jewelry is gold, or what purity. What does it mean when a ring is stamped Gold Case? If that's the only marking, it tells you that the ring is not gold. What does RR 15 on a gold ring mean? It could mean anything except whether or not the item is gold, and what kind. A ring purchased in Greece has "RB 750" inscribed on it. Does it have any value? Well, the 750 means 18 karat gold. So yes, it would have value if that's a correct marking. What does RLo mean on my gold ring? "RLo" is not a gold jewelry marking in that it doesn't indicate that an item is or is not gold. I have a pendant, and the only mark seems to be an intentional gouge in the gold. Is that possible? Well, I can't see what you're looking at, but a gouge does not qualify as a true gold marking. So I'm guessing the jewelry is not gold. What does 15-4 stamped on jewelry mean? What is the value of a bracelet with the following marking: "svi88 750 FO"? Why is a 585 used to mark 14K jewelry, instead of 584 or 583? That's just the marking they use to assure you an item is not less than 14K gold. What does 670 mean on the inside of a men's ring from Italy? That marking has nothing to do with gold purity. Is "oro" a gold jewelry indicator? No, this is not a gold jewelry marking. What markings on jewelry mean "platinum"? P, Pd, PLAT, and PT all mean "Platinum". Sometimes one of these markings will be accompanied by 950, too. The 14k portion of the marking could mean the item is 14 karat gold. Hopefully it has a small space between that marking and the "bz", which would confirm this. What is the value of a ring that weighs about 3 grams and has a "750 Italy" on it? The value of the gold ring depends on the current spot price of gold. But the 750 means it is 18 karat gold, which is worth more per gram than 14 karat gold. What numbers are stamped on rose gold? Good question. You can clearly tell that a piece of jewelry is rose gold, because rose gold has a pink-ish color. It's unmistakable. As far as the stamps for rose gold, they are the same as yellow gold and white gold. Remember that gold used in jewelry is an alloy, which can contain varying amounts of actual gold (which is where all these markings come from). So the color only depends on the other metal/s used in the alloy. Can silver be stamped with gold stamps? I've never seen that. But if a piece of jewelry is gold colored and stamped "925", that's vermeil, which is gold plated sterling silver. I have a gold Wizard of Oz charm bracelet. I can't find anything online that is the same. It is stamped "375" but also has another marking, "ATL". I can't for the life of me find what the ATL hallmark means. Any ideas? The only ATL I know is Atlanta, but the 375 stamp means your bracelet is 9K, or 9 karat gold. 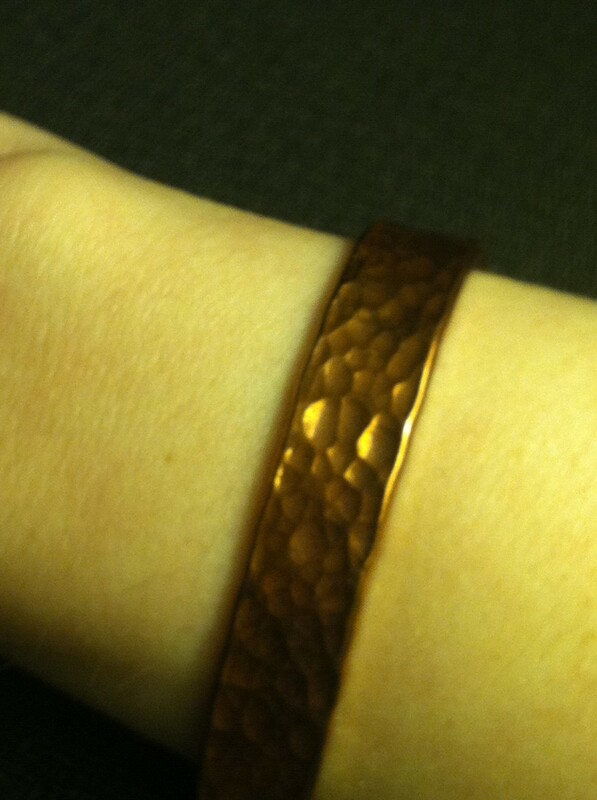 My bangle is marked "2220." Is it gold? This is not a gold marking. What does CODE on a gold bracelet mean? What does electroplated swiss 462 mean? It means the jewelry is Swiss, and electroplated with gold. The 462 could mean anything. Did this article help you? Comment and share. Do you still have questions? Ask them below. Thanks! I have a trophy stamped GGM 750 u ? What does TAIF 750 means on my necklace? I can not find anyting on the number paert of the stamp but the ADI i found it stands for (Amsterdam Diamond ) is the name of the Danish company from where the sterling silver originated what does the 310k stand for? What does made in Italy mean on stamped 10k diamond cut crab link? Does it mean it’s plated or something? Looks real but the made in Italy makes me think of silver. And would 1500$ for a 48g necklace be a good deal to possibly make off in the future? Every 18k can be pawnable?? What does 777 mean ? Many thanks. I have a gold tennis bracelet and the only marking on it is the letter "B" on the inside of the clasp. Can anyone tell me what that means? I have a gold chain written mas what does it mean??? I have a necklace with a tag marked with the roman numeral III, what does it mean? 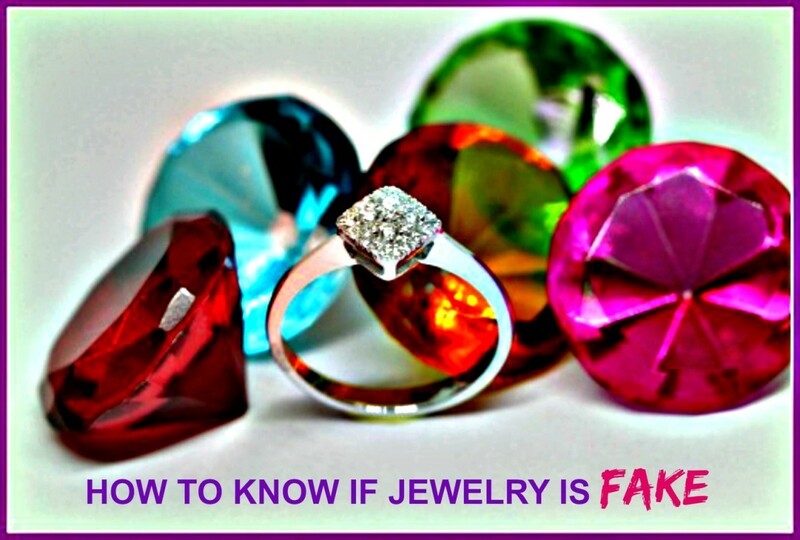 Most jewelry does not have a maker mark--just a purity marking or "gold stamp". "41" may be part of "417" which confirms the 10K gold marking on the first side. D&K is the only marking on my silver colored ring . I have a necklace and bracelet with 18k markings next to a chinese symbol.im not sure if its really chinese symbol tho. It looks like it. I wonder what that symbol means? Or it stands for which country it is made,? I have diamond and it has mark 585 is it real?? ii saw a yellowish spoon mark no 700 what does it mean? I saw an old ring feom my fathers car. And it say it ia JF 750. WHAT IS JF MEANS? I have a pendant that was advertised to be 925 Sterling plated over brass . However when scrutinized from the back it is stamped AU and then the symbol similar to the ' Copyright C ' . Could it be that it really is white gold , not Sterling plated brass ? The 10K marking/stamp means your ring is ten-karat gold. The A87 could be anything. You're welcome Marshall. If you're figured out the gold markings on your jewelry, the article has accomplished its purpose. Yes the article did help I do appreciate him taking his time out to turn on and actually helped a lot of us out and trying to figure out what we actually have. So thank you very much. I have a ring 585 6 what does it mean? I have a gold ring it is 10K, then thesmall symbol with I think a letter A inside followed by A87, what does it mean? I have a gold chain with a small cross. There is a small heart at the clasp with 18KBA (that B could possibly be an 8) on it. What does that mean? In all cases, 750 means 18 karat gold. Other markings can be from the jeweler or assay office. Sometimes a letter may designate what year the jewelry piece was made, whereas a symbol might indicate the country where it was made. What dose a necklace with the letter A on it mean? How do you keep gold plating from changing colors or turning your skin. Green? Hi, I have a ring that has a star followed by 660 VI then 750, I understand the VI is vincenza and the 750 is 18k but what is the star and the 660? Hi I have necklace and earrings with Mark kunal UAE what does it means? Is it real Gold? I have a necklace with a mark of 750 VC Italy gold, what does it mean? i have necklace rope design we marking GAJ 750,this is real gold? Sorry my replies are so late. dk - You get paid for silver. The thin gold layer doesn't affect the value at all. Angelo - a 750 marking on gold jewelry means it's 18K, 18-karat gold. You'll have to look up the 195 portion for that detail. Josie - I can only tell you that 750 means 18 karat gold. Why would you doubt it so much? Is there some other detail you haven't shared here? Maria Roberts - It means the 750, or 18 karat gold jewelry item, is made in Italy. As the article explains, a 417 marking on gold jewelry means 10K, or 10-karat gold. QUESTION: I am contemplating buying a pendent that is purported to be 18K gold. The hallmark says 750 registered trademark number. Is it really 18K????? When you have gold plated silver, is the silver what you get paid for when scrapping or does the gold make it less valuable? Peerless is a brand name. 14K means 14-karat gold. I hope it helped. Don't forget to rate it! Well, it is silver. "925" means sterling silver. 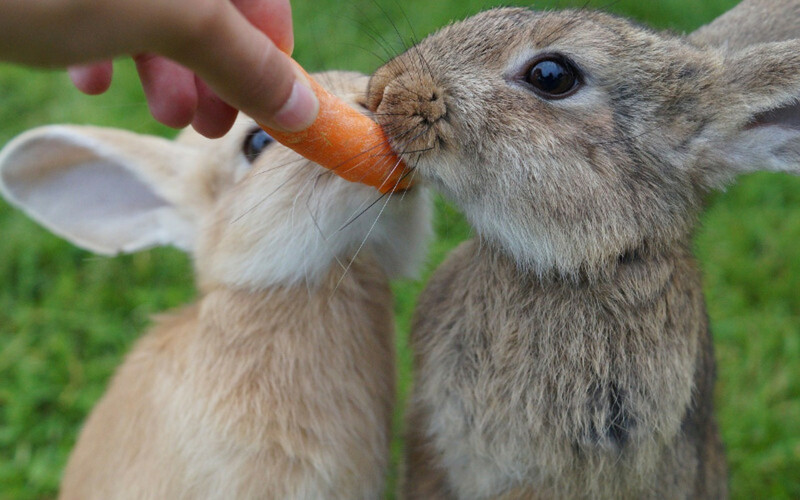 If you like them, that's what matters. Sterling silver is only worth about $15 per troy ounce. I found a pair of ear rings. I thought it was sterling silver. I cleaned it up. On the back it said 925. That was a big surprise for me.. It is a leaf shape. 1/2 in. wide and1 in. long. It white. I wonder how much they are worth. In Indonesia most of the gold is 700 does this mean it,s 70% pure or 17ct ? I have just bought a ring that has IG 585 inside it.Is this gold or gold plated? OMG! it appears most of the people leaving comments didn't read the article -or if they did, they didn't comprehend it. Good Grief! I have a necklace marked both 750 and 20kar. Can that be possible? I have a gold coloured vintage scarf clip maked 564 what does it mean ? "925 750" means vermeil--18K gold plated sterling silver. In other words, silver. Bracelet. It says Italy 925 and 750. I have taken to a few places to be looked at but one said he don't think it real. How do I find out please. I have a pair of white gold earrings with salt water pearls and diamonds that says 1326AL 750.
what does the 1326AL stand for?? Could it be the year they were made of the maker?? I have a necklace marked 750 Italy and a THL marking. What does it mean? Is it a real white gold? Thanks. Carla - 925 is used only on silver. It could be gold plated silver. Hi i have a necklace . My necklace have a symbol O or 0 then 750 what does it mean ? Oh good grief! Just get an acid test kit for precious metals ( 22 to 10 K gold available) and find out the gold content. As far as any other markings nowadays designers put the acronym of their name...e.i. JR for Judith Ripka, DY David Yurman...etc. Tremendously interesting and maybe my wife will actually read it. Many thanks. If its marked by this symbol 18 K with a underscore line below the K. Does this mean it is 18 K gold plated? I have a pair of vintage Russian earrings. It says: Gold over Silver .875. Can you tell me what this means? Its very useful. I find my answer in there. I have a sapphire ring that has marks on the outside of the band instead of the inside. Its hard to make out exactly what they are due to wear. So with my detailed research has a strong possibility of being French Hallmark for real. The sapphires clarity to me is real and the small diamonds surrounding too. I would greatly appreciate anyone's help! Wondering shows TOB ? Italian 16 or 18k bracelet?? What does the marking 14K GR mean on a gold chain? I have a pair of pari dogali earrings stamped 55 NU 750, what does that mean, and what are they worth? Please help!! !